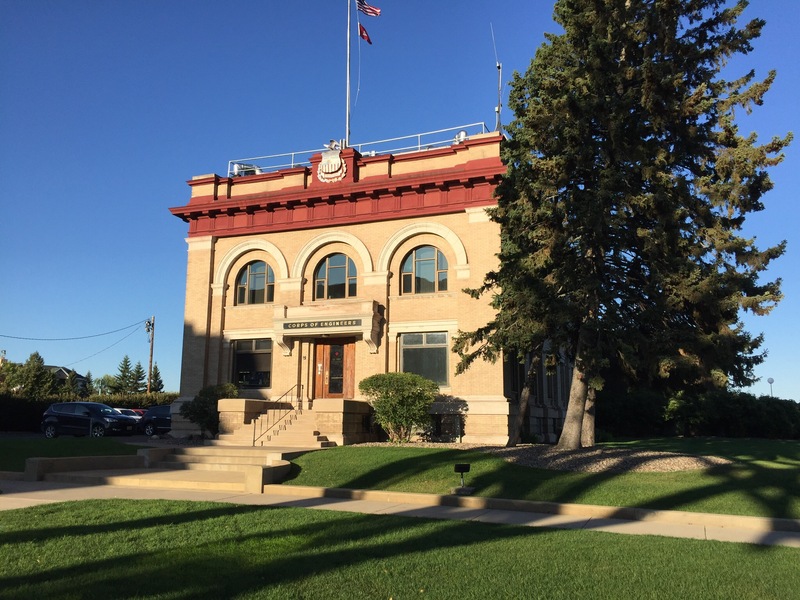 As we headed east into Minnesota from North Dakota, we made the decision to head towards Michigan’s Upper Peninsula, as opposed to dropping through Chicago and under Lake Michigan. Having some time to spare, we meandered our way across the Land of 10,000 Lakes and found some interesting surprises along the route. The first gem we stumbled upon was the Minnesota State Park system. While they were most likely packed during the summer, they were pleasantly uncrowded and peaceful this time of year. 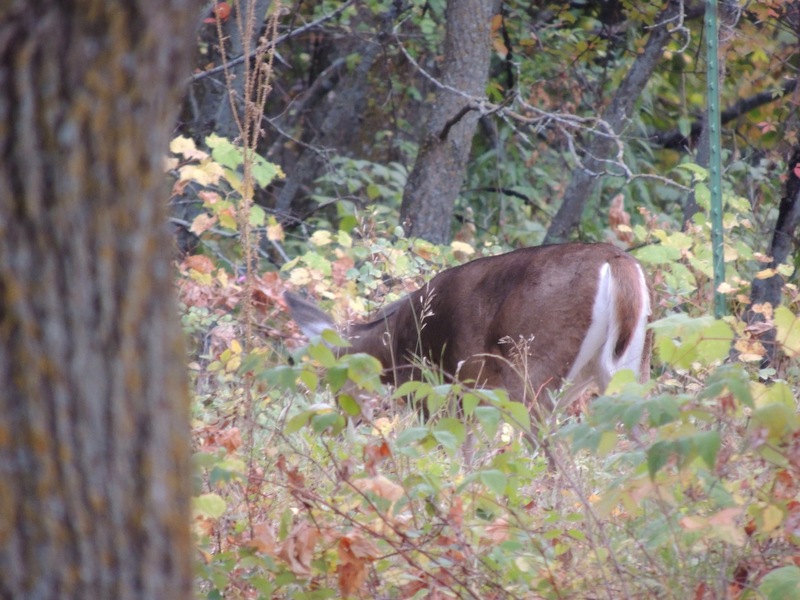 From our site at Buffalo River State Park, we watched as several deer munched on the vegetation. 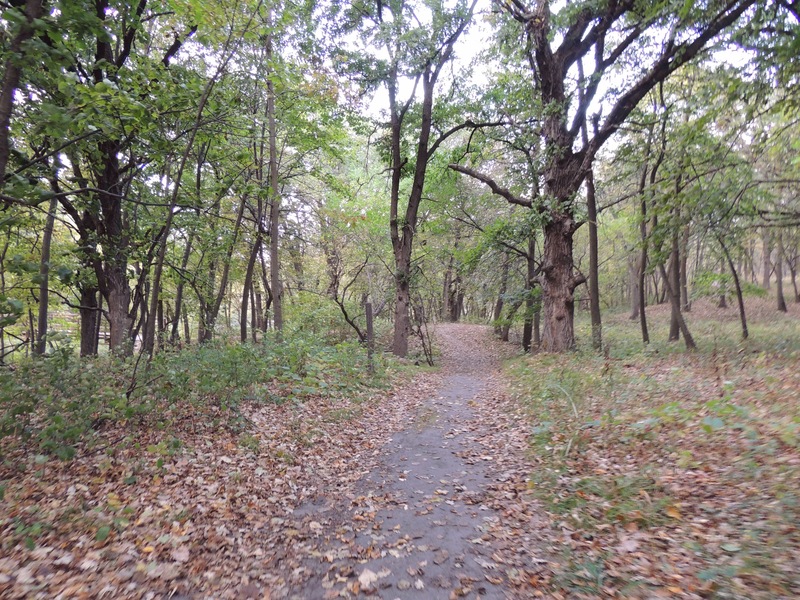 We took a stroll along several of the park’s hiking trails. We also discovered this unique swimming hole (available in the summer) that pumps in filtered river water. 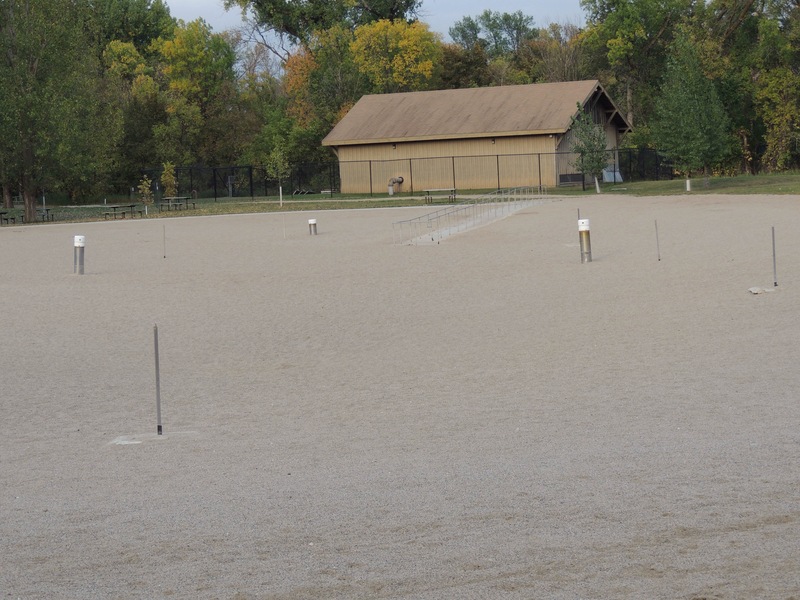 It has a coarse sand bottom and a accessible ramp for people having difficulty walking over the sand. 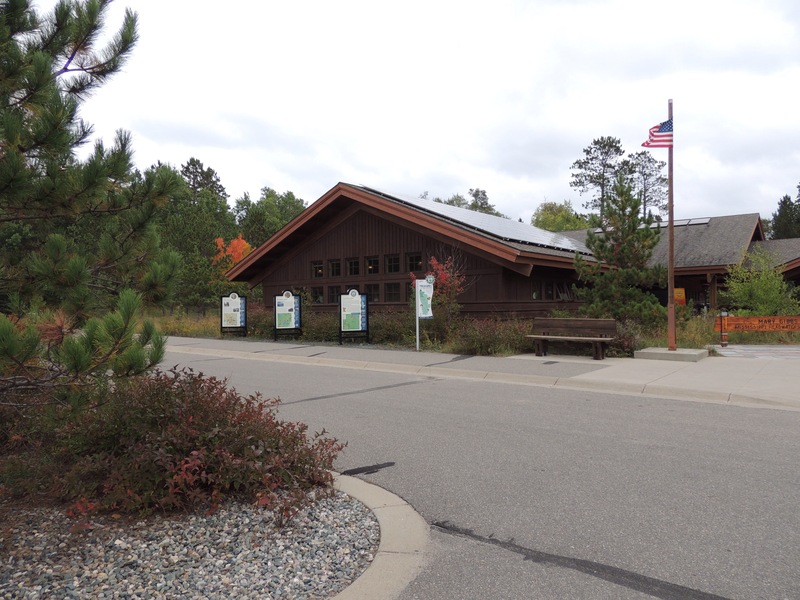 The next day, we headed north a bit to Itasca State Park. Our goal was to see the headwaters of the Mississippi River. After setting up camp, we followed the signs to the visitor center. From there, it is a few hundred yards to what is accepted as the source of the Mississippi River. It was here in 1832 that Henry Schoolcraft declared that he had found the source of the mighty stream. Of course, it was an Ojibway chief who brought him here, so Hank really wasn’t the first. 😉 The headwaters…which is the outlet of Lake Itasca…was ‘improved’ in the 1930’s to allow visitors a pleasant experience. Previous to that, it was a muddy, mosquito infested area. We waded across and didn’t even get our knees wet! Definitely a fun place to visit…but something I saw on Google Maps had me wondering: is it the true source of the Mississippi? After the river leaves Itasca, it flows into and out of several natural lakes. 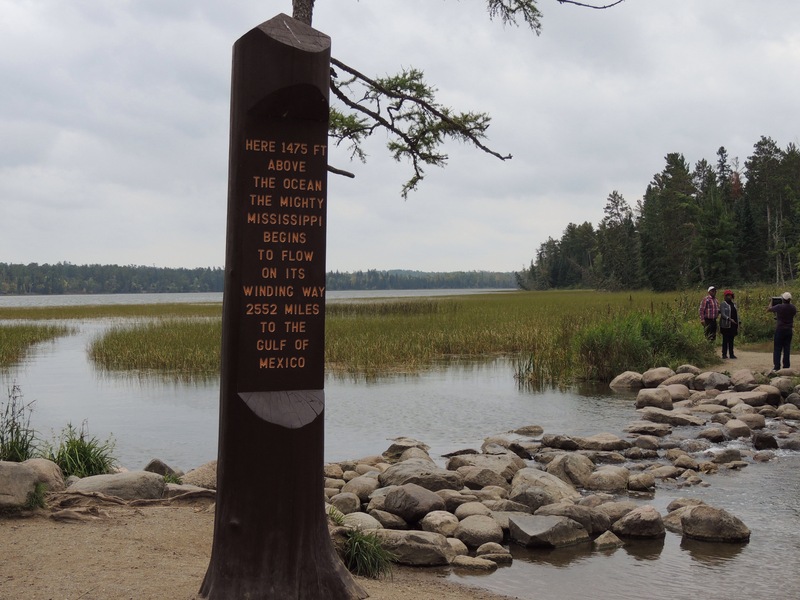 That fact begs the question: are there any inlets flowing into Lake Itasca? Well, as a matter of fact, there are two of them at the opposite end of the lake . One comes in from Elk Lake, and the other comes in from Nicolet Lake. 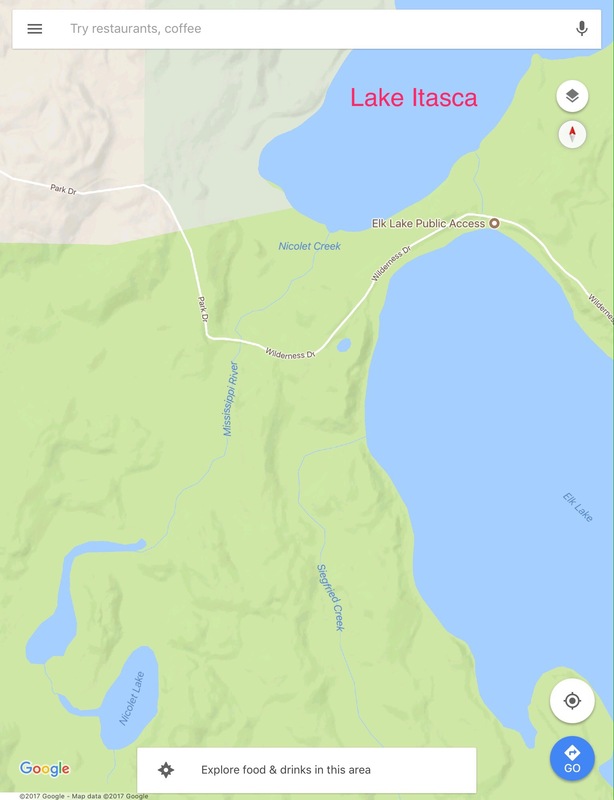 Looking on Google Maps, the outlet from Nicolet Lake into Lake Itasca is listed as the Mississippi River! What gives? That’s upstream from the headwaters marker! And down below Nicolet Lake, there is a small inlet flowing into it. Could that be the true source of the Mississippi? My thought is that Mr. Schoolcraft didn’t paddle far enough upstream. A quick internet search reveals that I’m not the only one to think that. 😊 Nonetheless, the fact that we were able to wade across the Mighty Mississippi was pretty darned cool. From Lake Itasca, we continued on to Duluth. We spent a few nights there to do some laundry, grocery shop and check out the town. We had been there several years ago when we were on a Lake Superior Circle Tour. At that time, we toured the retired and meticulously restored freighter William A. Irvin. The ship is still there, just as beautiful as ever. 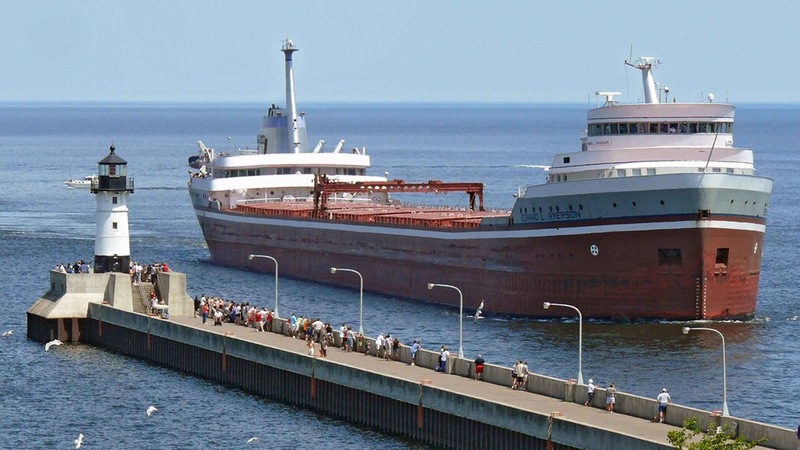 We also spotted the Edward L. Ryerson on the other side of the harbor in Superior, Wisconsin. The Ryerson has long been known for its astetically pleasing lines, and is always a crowd favorite when it comes into port. 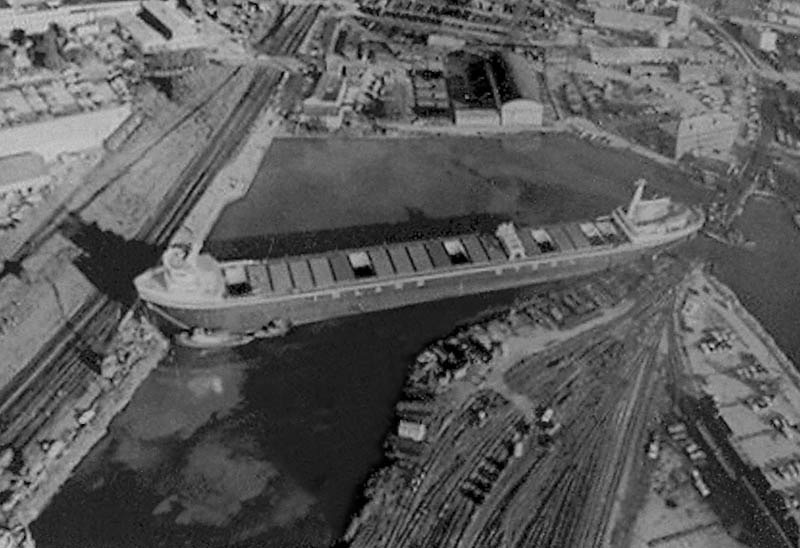 It also had an unusual situation when it was built in that it was too long to make the turn in Manitowac Harbor to get out. They ended up having to carve out 50 feet of the sea wall to allow it to make the corner. 🙂 It was good to see this ship again, as I hadn’t seen it since I was a teenager in Detroit. We also checked out some of the cool architecture in town. …as was this old gas station turned ice cream and malt shoppe. 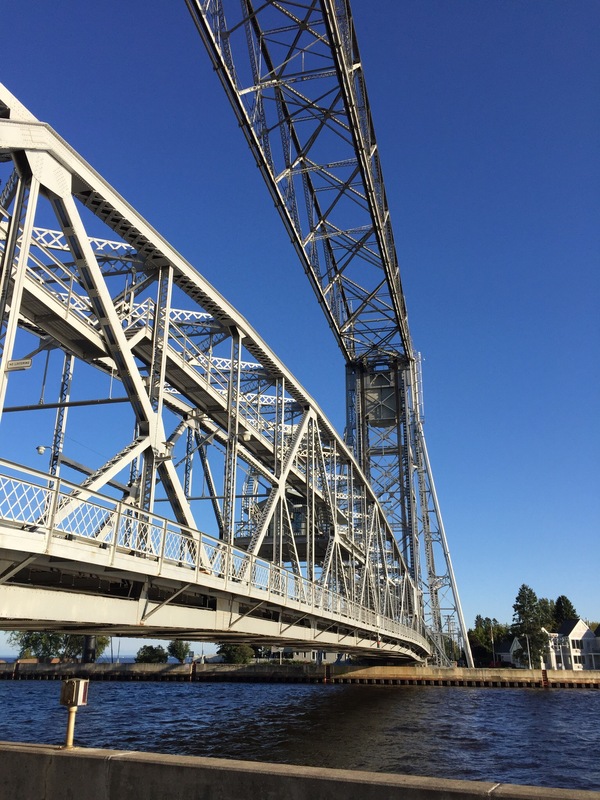 We also walked under the iconic Aerial Lift Bridge near the entrance to the harbor. The 900 ton center span of this structure can be raised to provide 180 feet of clearance for the big lake freighters to pass under. Many sailors have seen this structure as a beacon of hope as they come off the big lake in a raging storm. 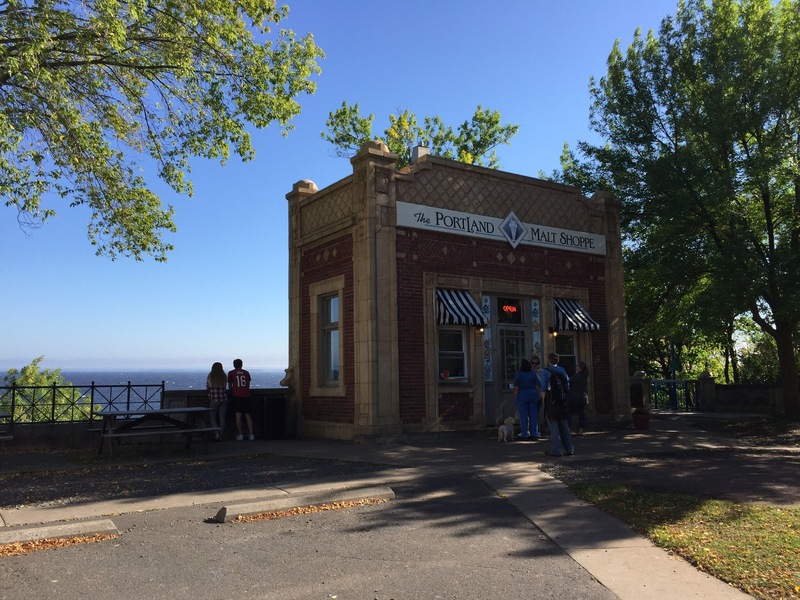 If any structure is synonymous with Duluth, this is it. We had an amazing time in our short dash through Minnesota! We would definitely like to spend more time there in the future. Next up, we arrive in our home state of Michigan. Stay tuned to see what we find! Click HERE for a free Kindle Unlimited edition of Ka-Ka-Ska-Ska (Headwaters to the Gulf – in a kayak), along with anything else imaginable through our exploRVistas Amazon link! explorRVistas is a participant in the Amazon Services LLC Associates Program, an affiliate advertising program designed to provide a means for sites to earn advertising fees by advertising and linking to Amazon .com. Shopping through our link does not add anything to your cost, but it does help support this blog. Thank you for shopping through exploRVistas! Minnesota is beautiful this time of year, love the colors when the leaves change. You are going to have a colorful drive across the U.P. this time of year as well! So true, Jim. Love the smell of the air also! That sounds like a great trip. I always loved watching those big freighters on the St Lawrence. They are such impressive ships. 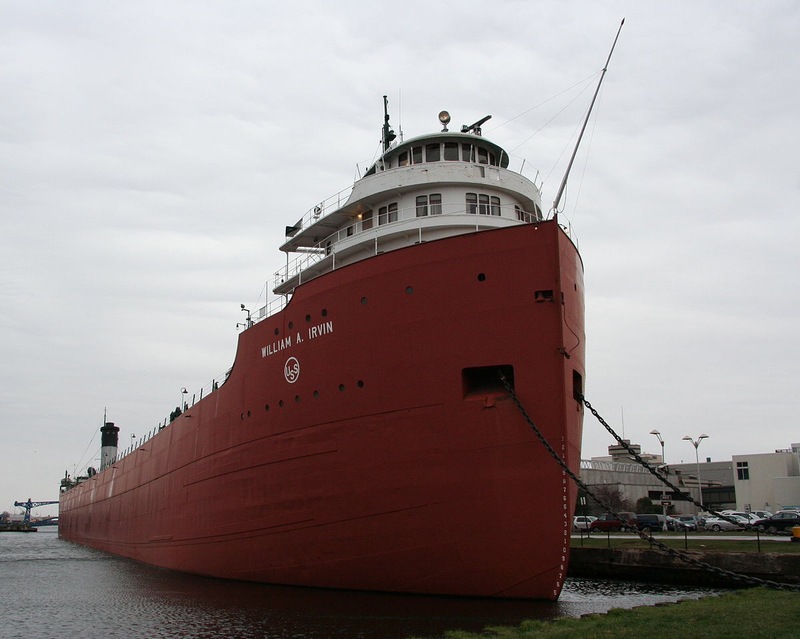 It’s our goal to spend a future Summer exploring the Great Lakes and learning more about the freighters and the lights that helped protect them. Duluth is one of my favorite town in that part of the country. I know that you mean about the start of the Mississippi. I hosted at Big Sandy Lake last summer right near there. Thanks, Rick! Safe travels to you also. 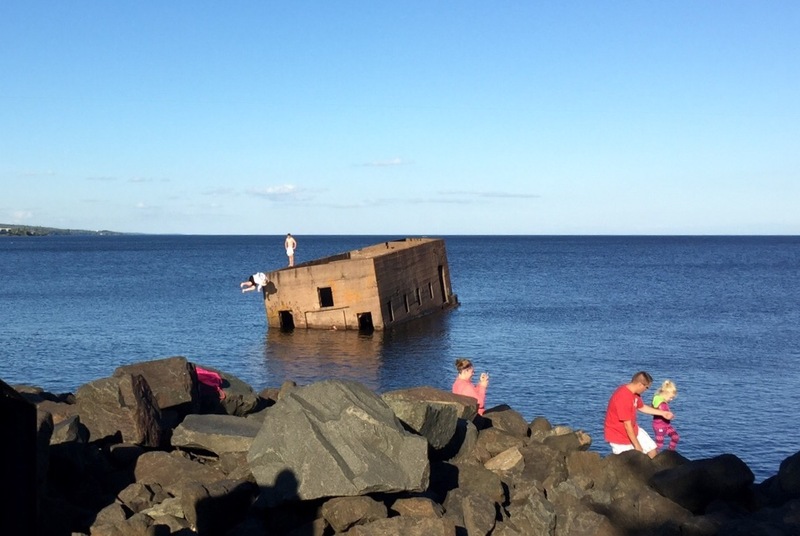 Duluth begs more time on our part! We we’re at Buffalo SP last year too about the same time! That swimming hole is very interesting – I’d like to see it full of water sometime! Nice place to be at this time of year. It’s my favorite time to walk through the woods. So cool that you saw that swimming hole, Kat and Bob! It is truly amazing all the wonderful places that this country has to offer. Each state has so much to see. We really enjoyed out stay in the Duluth area. We enjoyed riding the bike trial along the river into town several times. We also took the boat tour of the industrial area and got ride under that cool bridge! Love that you got to stand in the Mississippi!!! Can’t wait to watch your drive across the U.P., a neat area. I’d love to take an architectural tour of Duluth, Pam. What a neat town! I haven’t been to the source of the Mississippi but if I ever get to Minnesota again I’ll look for the real source. Imagine building a ship too big to get out of the harbor. Love the UP. As much as I like Lake Michigan, I am pretty crazy about Lake Superior too. So wild and huge, Gaelyn. Can’t wait to see your results on the true source! Thanks for the tour! 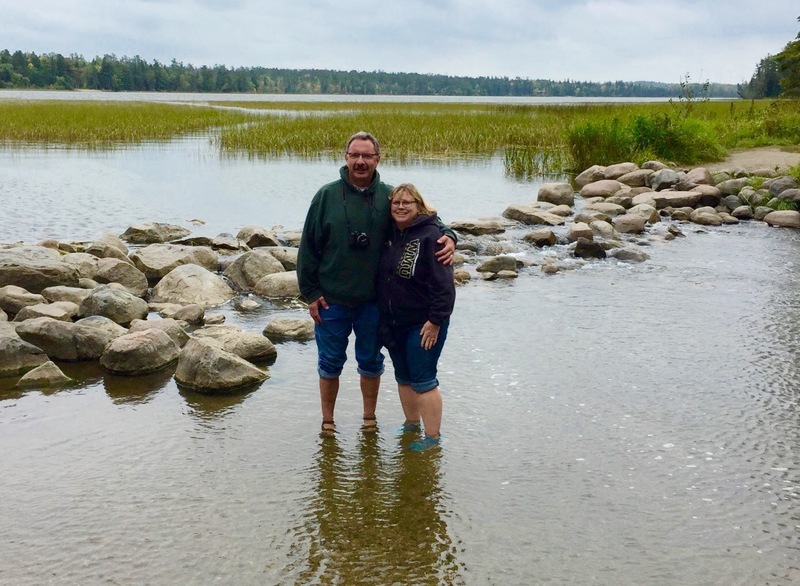 Itasca State Park was on of our favorites. We loved the U.P! How great to wade across the Mississippi, even it it’s not likely the true beginning. Wonderful pic of you two!! Duluth looks like a sweet spot to explore, we missed that whole section of MN. Bet the “Oh sure the ship can make the turn!” guy didn’t work in that ship yard anymore :-))) Thanks for finding the old photo! Awesome and standing at the headwaters is something we look forward to as well. Interesting wondering where that spot really is! Love the trails. Jim, I love Duluth, even though I was snowed in there for three days when I was traveling doing training seminars (it’s such a joy washing your underwear in the sink). We stopped there after we were on the road and camped at the marina. We enjoyed the short walk into town and the Park Ranger-led tour of the pier and lighthouse. It’s a good place to be snowed in with all those skywalks, Bob! Looks like a fabulous trip. Love the colors in autumn. Enjoy!